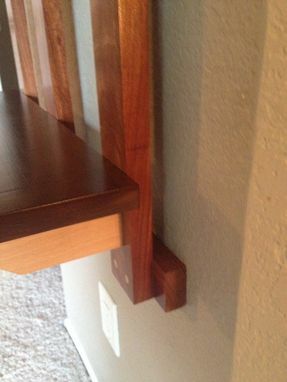 Shelf hangs off of one angle cut piece of mahogany that attaches to the wall at three anchor points (seen in the first two pictures). 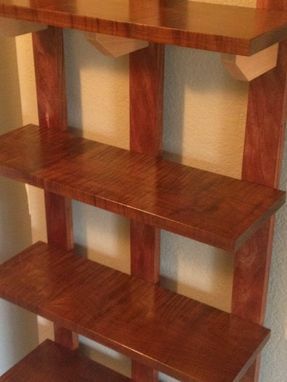 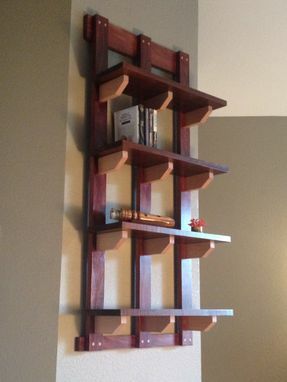 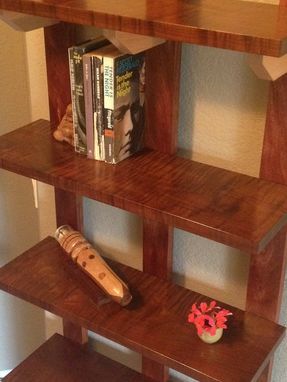 All shelves are a tiger figured maple, frame is santos mahogany, and the shelf supports are birch. 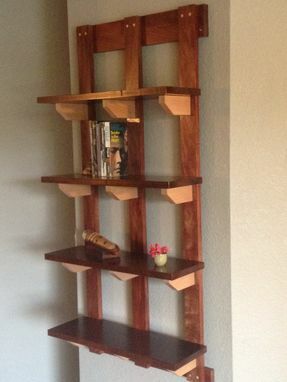 Depth 9-3/4" from wall to front of shelves.